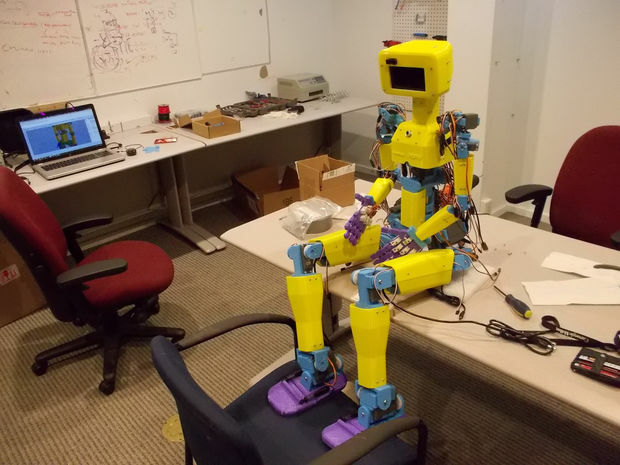 Building robots can be difficult, and if you want to construct something humanoid, designing the mechanics alone can be a significant task. ASPIR, which stands just over four feet tall, looks like a great place to start. 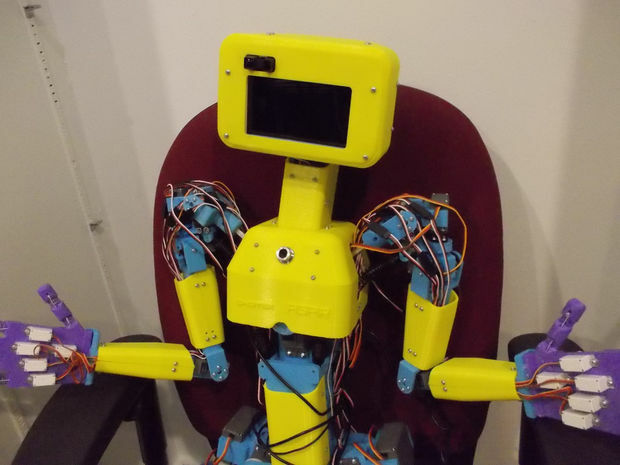 John Choi’s 3D-printed robot can move its arms, legs, and head via 33 servo motors, all controlled by an Arduino Mega, along with a servo shield. The documentation found here is excellent; however, it comes with a warning that this is a very advanced project, taking several months to build along with $2,500 in parts. Even if you’re not willing to make that commitment, it’s worth checking out for inspiration, perhaps parts of the ASPIR could be adapted to your own design! Is there a video of how it moves? I’m trying to make a 20DOF humanoid.can I use you as a role model,ASPIRE?